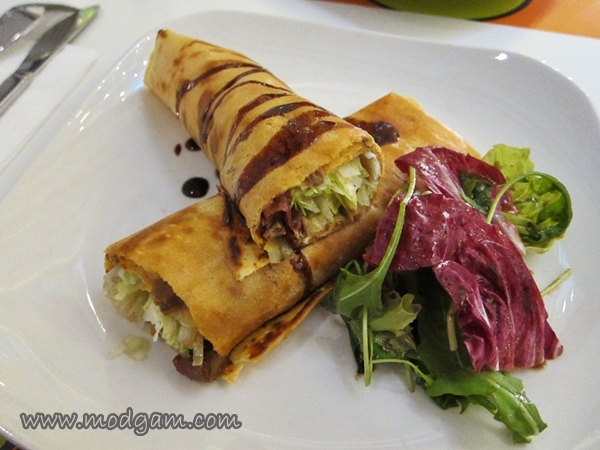 Interesting crepes presented in Asian or European style. Big crispy delicious waffles. 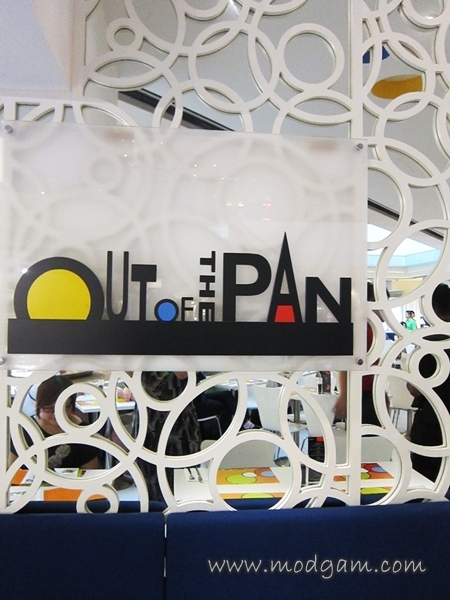 I can see why Out Of The Pan is a popular spot for dining. Dine to the soothing sounds of the water fountain next to the restaurant. 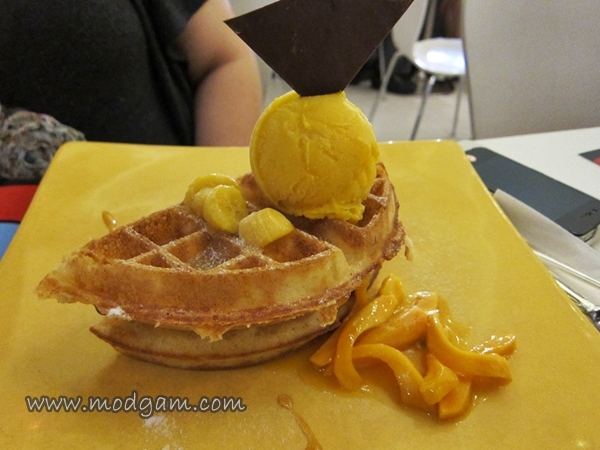 Wide variety of choices and crispy to-die-for waffles, I can foresee myself going back for more. 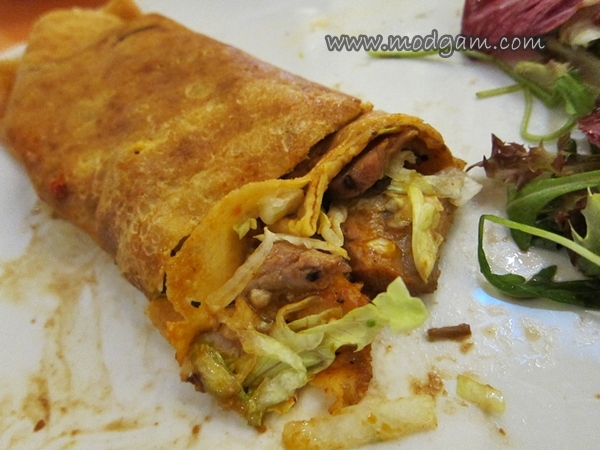 3 flavors to choose for crepe: Plain, whole wheat or sun-dried tomato flour. We choose tomato flour as we heard its the most popular among customers. 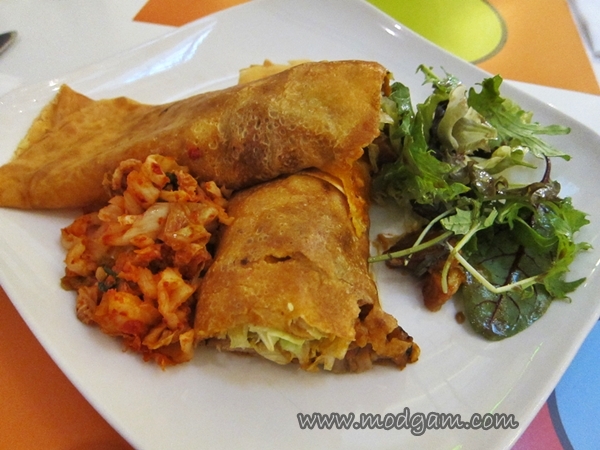 Korean BBQ Pork crepe S$14.50 – Flavored pork with Korean chilli paste served with Kimchi in tomato flour crepe. The taste is so authentic! Very appetising! 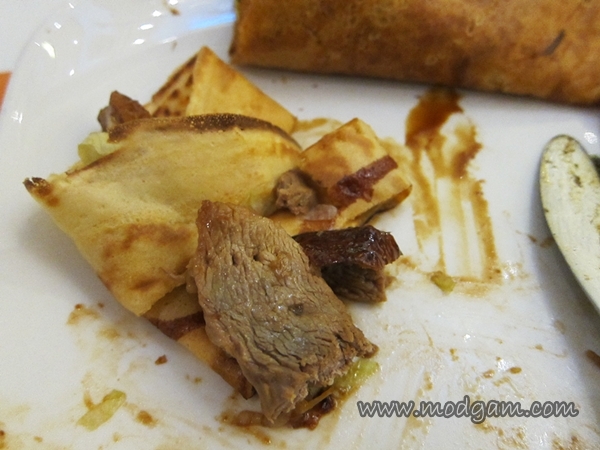 Peking Duck crepe S$15.50 – love it! The authentic peking duck sweet sauce with the superb tasty roasted duck meat! This dish is simply delicious! Generous serving of meat! 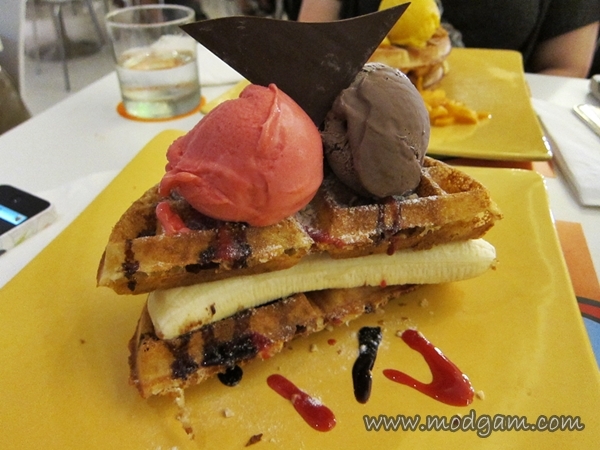 Exotic Fruit Waffle S$14.00 – yes this is equally crispy and with each slice the loud crisp just got us even more excited! Exotic cream with chocolate custard and lemongrass ice cream! i felt hungry by mere looking at these photos, mag!